VATICAN CITY (CNS) — Peace is a gift that can easily be destroyed through petty gossip and speaking ill of others, Pope Francis said. 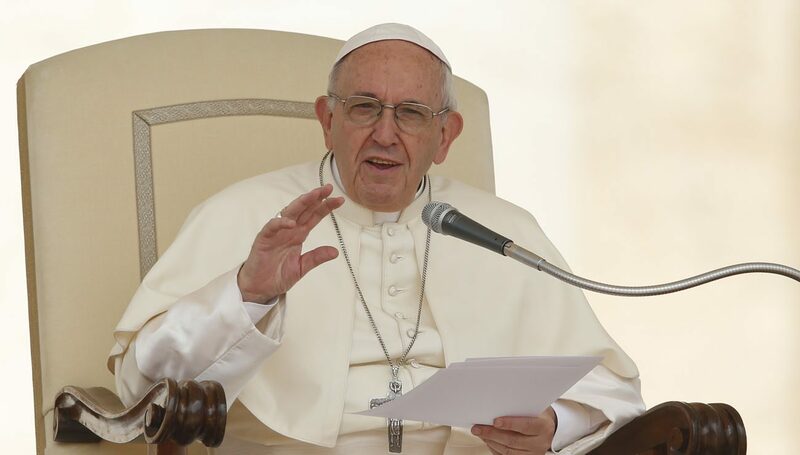 People who receive and give the sign of peace “should be men and women of peace” and not ruin “the peace made by the Holy Spirit with your tongue,” the pope said June 6 during his weekly general audience. “Gossip is not a work of the Holy Spirit, it is not a work of the unity of the church. Gossip destroys the work of God. Please stop gossiping,” the pope said. Continuing his series of audience talks on confirmation, Pope Francis spoke about the gift of the Holy Spirit that Christians receive in the sacrament. While it usually is the bishop, who is a successor of the apostles and guarantor of the unity of the church, that confers the sacrament of confirmation upon person, his role does not exclude the bishop from the Christian duty of charity and love. However, that gift can be lost if Christians start saying mean things about each other once they leave Mass. “When we have the seed in hand, it isn’t meant to be stored in a closet, it is meant to be sown. All life must be sown so that it bears fruit and multiply. We must give the gift of the Spirit back to the community,” the pope said.